Note: Most books on consciousness focus almost exclusively on philosophical and neuroscientific analyses of the mind-body problem, and mostly ignore the vast amount of scientific research on such topics as unconscious mental life and altered states of consciousness. One exception -- I think the only exception, aside from the "handbooks" or "companions" to consciousness that have recently begun to emerge from various publishers -- is W.G. 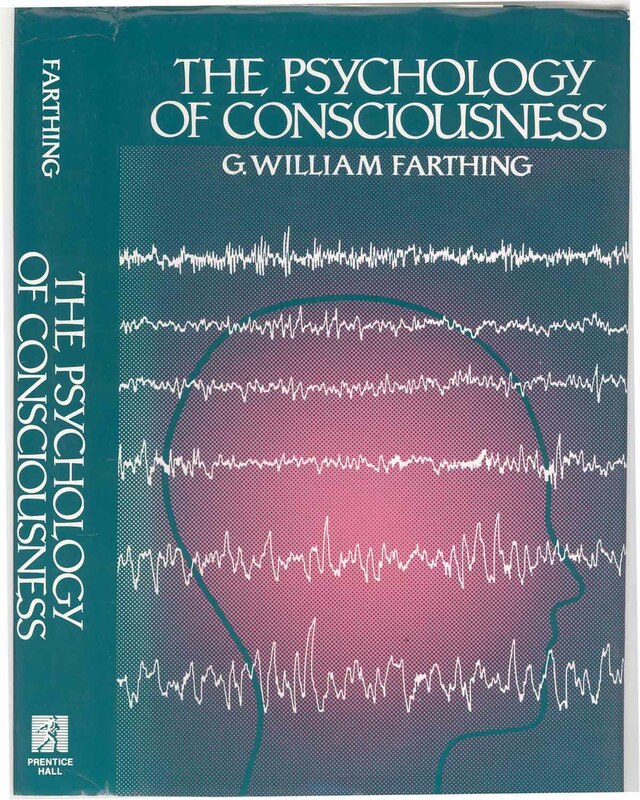 Farthing's The Psychology of Consciousness (Prentice-Hall, 1992). Although a somewhat outdated by its publication date, and out of print as well, it remains the single best introduction to the scientific literature on consciousness: It's the place to start if you want to understand the current scene. I've provided links to the book's chapters below, but I strongly urge anyone who's interested in consciousness to purchase their own copy on the used-book market.